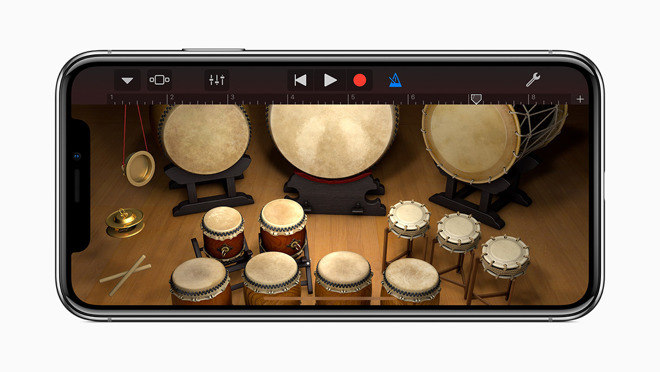 Apple has deployed an update for the iOS version of GarageBand, with the new version taking advantage of the Super Retina display on the iPhone X, as well as adding a new sound library and a "classic" beat sequencer. 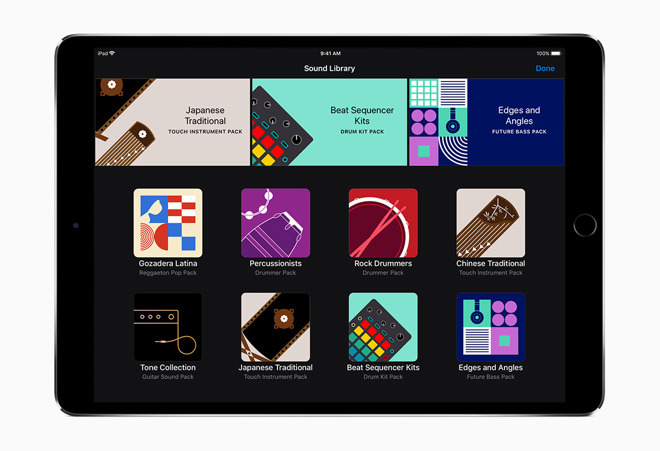 Wednesday's update introduces a new GarageBand Sound Library, allowing users to download an assortment of free sound packs featuring new instruments and loops. A new Beat Sequencer instrument has been added that has been inspired by classic electronic drum machines. The app also features new Asian Touch Instruments and updates to Drummer, including six additional players. Additions include traditional Japanese Koto and Taiko Drums, and Chinese Guzheng. Three new drummers play percussion in Pop, Songwriter and Latin styles, including instruments like bongos, cajon, woodblock and the cowbell. The app also now includes three new acoustic kit drummers specializing in Rock and Alternative beats. GarageBand 2.3 for iOS is a 1.77GB download with no saved tracks or added loops or libraries, and is a free download on the App Store. It is compatible with devices running iOS 11, including iPhone 5s and later, iPad mini 2 and later and iPod Touch sixth generation.